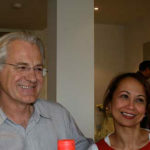 Meet Graeme and Gillian they live on 3 acres and have been WWOOF Australia Hosts for 17 years. Their property is surrounded by Great Otway National park with loads of wild and bird life, a short downhill walk in the township and beach. They grow lots of organic produce, and their kitchen gardens raise heirloom seedlings in the hothouse for the table. Lorne is a town on the Great Ocean Road in Victoria, Australia. Across from Lorne Beach, a popular surfing spot, Mountjoy Parade has many shops and cafes. The town is known for its arts community, including institutions like Qdos ARTS, with its gallery and sculpture park. Teddy’s Lookout has sweeping views over the St. George River and the coast. 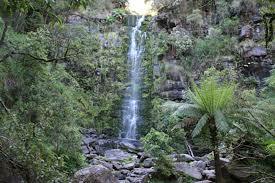 Nearby are Angahook Lorne State Park and Erskine Falls, set amid ferns. 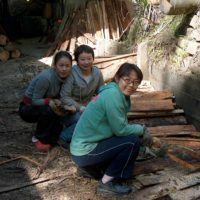 Because they are essentially an Art venue, with regularly changing exhibitions, musical events and art workshops, WWOOFers are often involved with ‘arty’ activities. Longer stays are better for us. Your accommodation is a self contained bed sitter for 2 (singles may have to share the space) with a big sundeck overlooking the our lilypond and sculpture park, we generally eat together all meals are provided. 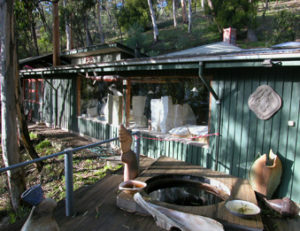 Once a year (in the colder months) the ceramic studio gets busy for the annual wood fired general around August. So if your are interested in pottery and wood firing kilns you will enjoy this. General we use large worm farming techniques create volumes of vermicast the end-product of the breakdown of organic matter by earthworms. working in with using eucalyptus bush debris and coffee grinds. 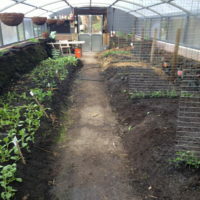 Gardening we love with 50 different fruit trees in the orchard and indoor & outdoor veggie garden. Work includes developing compost nutritional soils & caring for a large orchard, general property maintenance. We keep free range chickens and have our own bees, all to enhance the quality of our foods & sustainability. 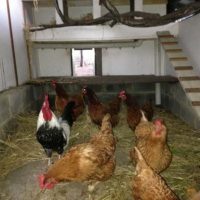 If you have any questions please email us at wwoof@wwoof.com.au we also do Gift Certificate Memberships!